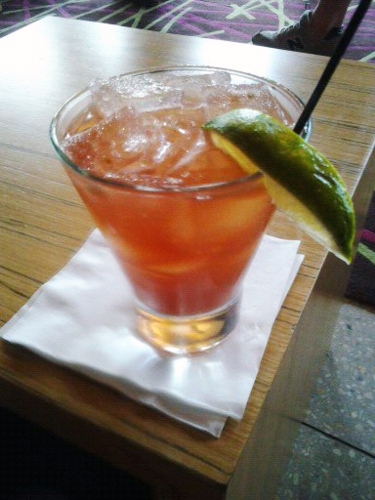 The Tico Fresco is a beautiful cocktail made with Myer’s dark rum, fresh watermelon and lime juice, and jalapenos. It is a dark-rose pink, and the flavor of watermelon comes through strongly then is chased away by the tingly heat of jalapeno. The rum and lime both do their part in providing structure for the more prominent flavors to shine in. Refreshing, spicy, and I need another.